As we all know the permanent voters' cards were issued last year to some of those who had their temporary voters card before. But all those who do not have probably due to their names not been found or those who were just registering for first time were given the temporary voters card. Now INEC has decentralized PVC pickups. Now you can pickup your PVC at your ward. But the question is where precisely are you going to collect your card. A website is now available where you can check you pickup points. ==> first you have to click on this link. ==> in the provided boxes. Enter your PU number as it appears on your card. 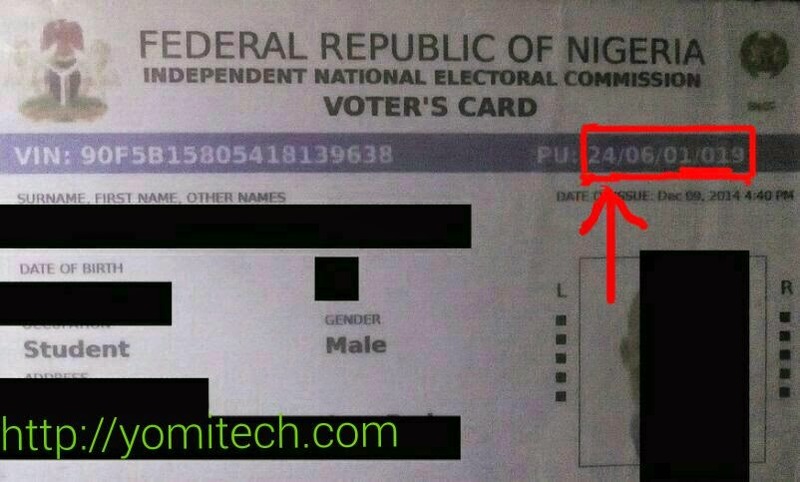 (This can be found on the Top right of your Temporary Voters Card). ==> just hold on while the page loads up and your pickup point will be shown below. Note: Pickups for Ekiti & Osun state remain at their respective LGAs. That's just it. Note that the website serves other purposes like checking your status and it also help you check your local polling unit closest to you.